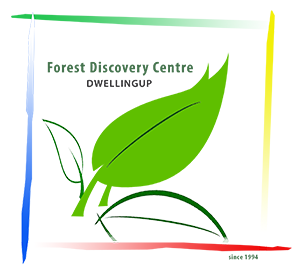 The Forest Discovery Centre and Dwellingup Adventures have developed a range of exciting new school camp experiences for your school. These camps can run over 3, 4 and 5 days and include a variety of adventure activites, bush skills, and creative courses as well as accommodation and catering. For examples of programmes and pricing please contact the FDC today. Run in partnership with the Department of Parks and Wildlife, the Nearer to Nature Schools Programme offers a large range of courses to complement and enhance your classroom teaching. Each excursion is linked to the Australian Curriculum and the Western Australian Curriculum. Please see School Programs for more information. Bookings for Nearer to Nature Schools Programme at the Forest Discovery Centre are managed through the online enquiry system http://education.dpaw.wa.gov.au or the Perth Hills Discovery Centre on 9295 6149 or 9295 2244. The Forest Discovery Centre offers a range of Western Australian Curriculum linked Woodwork and Arts workshops. For the full range of courses available please see the table below. Also listed you will find our FHC and Mill Tour as well as Billy Tea and Damper making.